One of the four traditional religions in Albania that is respected with a national holiday, the Bektashi, an ultra-liberal mystical Muslim sect with roots in Sufism and Shia Islam, make up between 2 to 3 percent of Albania’s population, mainly concentrated in southern Albania. The Novruz Day has been a public holiday in Albania since 1996. The holiday is celebrated with a traditional dessert called Ashure, also known as Noah's Pudding, consisting of grains, dried fruit and nuts. 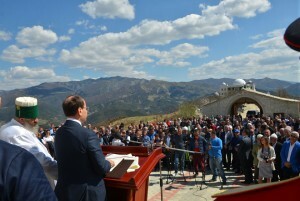 TIRANA, March 22 – Dozens of hundreds of believers gathered on Tuesday in Tirana, the host of the world headquarters of the Bektashi religion, to mark their most important day, the Novruz, a public holiday commemorating the Persian New Year and the birthday of Prophet Ali. One of the four traditional religions in Albania that is respected with a national holiday, the Bektashi, an ultra-liberal mystical Muslim sect with roots in Sufism and Shia Islam, make up between 2 to 3 percent of Albania’s population, mainly concentrated in southern Albania. The Novruz Day has been a public holiday in Albania since 1996. The holiday is celebrated with a traditional dessert called Ashure, also known as Noah’s Pudding, consisting of grains, dried fruit and nuts. Addressing participants, Father Edmond Brahimaj, the head of the Bektashi community in Albania and around the world, wished prosperity to all Albanians. “May god give you prosperity and make your wishes come true on this holy day,” said Father Brahimaj at a festive ceremony at the Bektashi Odeon with performances by the national ensemble of folklore dances and songs and Albanian tenor Kastriot Tusha. The new Odeon of the Bektashi world headquarters in Tirana was inaugurated in September 2015, serving as a central place of worship, a multipurpose center, and the seat of the global Bektashi community. Two renowned Albanian businessmen of Bektashi roots, late Muhamet Malo who passed away earlier this month and insurance entrepreneur Kadri Morina were awarded golden knight statues for their contribution to Bektashism in the country. In his speech at the Bektashi headquarters, Parliament Speaker Ilir Meta, a Bektashi believer, paid tribute to the Bektashi fathers and their contribution to the country’s independence in the early 20th century. “Gratitude to the contribution and the extraordinary work of the fathers of Bektashism from the national renaissance period with the great Frasheri brothers to present day, from the time national hope was born and the foundations of what Albania has been and what will become of it were laid again,” said Meta. “Albania – What it was, what it is and what will become of it,” a late 19th century political manifesto written by Sami Frasheri had a key contribution to bringing Albanians together in their Renaissance road to independence from the Ottoman empire, a process concluded in November 1912 with the country’s independence. 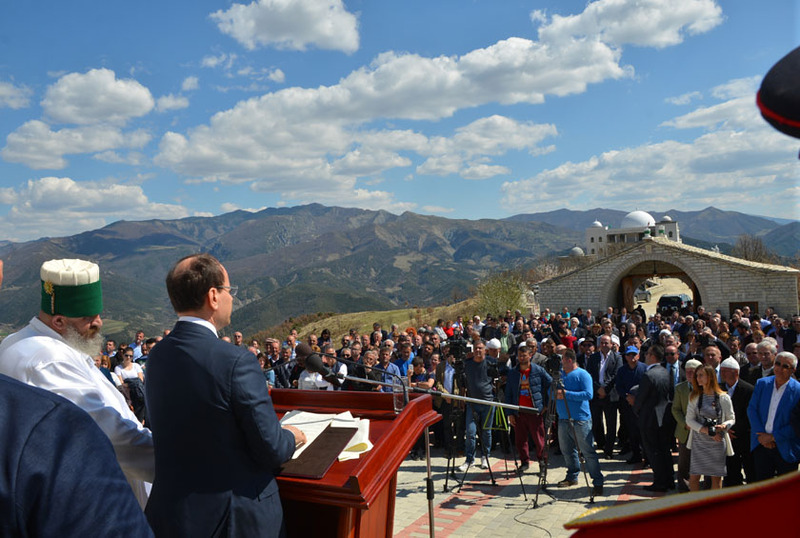 Meanwhile, President Bujar Nishani was in Permet, southern Albania, marking the holiday with a visit to the place of worship known as the tekke of Ali Postivani. “Today we celebrate the most important day of Bektashi religion, the day of resurrection and hope and we all pray for a better future for ourselves, our families, and all Albanians,” said Nishani, who decorated the local tekke leader, father Hekuran Nikollari with the “Naim Frasheri” high order for his contribution to reviving, preserving and spreading the Bektashi religion. Bektashi believers and pilgrims of all religions take to Mount Tomorr every August, commemorating Abbas ibn Ali, who died at the battle of Karbala in the 7th century, in a pilgrimage believed to bring healing and luck. The Bektashi trace their entry into Albania to the famous 14th century legendary figure Sari Salltek associated with the town of Kruja, some 50 km off modern Tirana. The Bektashi leaders were expelled from Turkey in the 1800s and early 1900s as heretics and found shelter in Albania as refugees because the country already had a strong Bektashi community and was tolerant on matters of religion. Some of Albania’s key figures from the national Renaissance era, like the Frasheri Brothers, were Bektashi. Likewise the other religious communities in Albania, the Bektashi community was persecuted by the communist authorities until dissolving in 1967 when Albania banned religion, becoming the world’s first official atheist country. During the religion ban under communism, the Albanian Bektashi tradition was kept alive by a tekke in Gjakova, Kosovo and another one Detroit, the U.S. 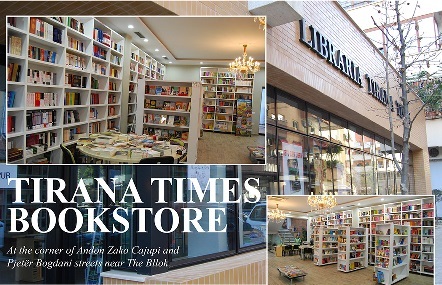 The Tirana tekke and its world headquarters reopened in January 1991 as the communist regime collapsed. Albania’s religious harmony is praised internationally as an example to be followed. 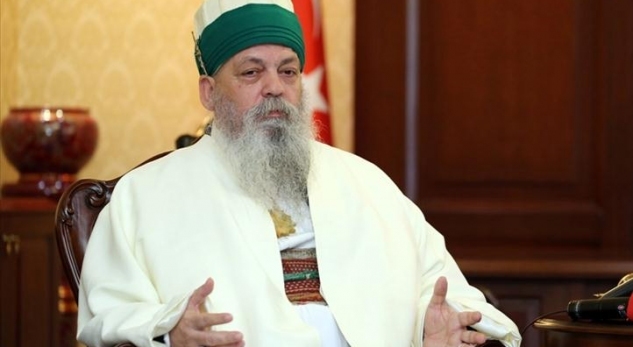 Back in January 2015, four Albanian religious leaders, representing all of the country’s traditional faiths, traveled to Paris to march in the solidarity rally paying tribute to the terrorist killings at the offices of satirical magazine Charlie Hebdo. Their hand-to-hand march as evidence of the religious harmony in Albania was applauded by French citizens for several minutes. Surveys show residents of Albania to be among Europe’s least religious people in terms of practicing any of the country’s four faiths, but according to the latest 2011 census, Sunni Muslims constitute nearly 57 percent of the population, Roman Catholics 10 percent, Orthodox Christians nearly 7 percent, and Bektashi (a form of Shia Sufism) 2 percent.